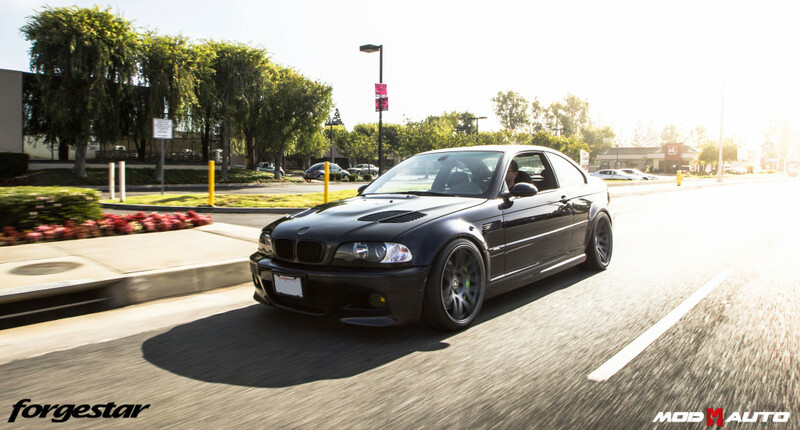 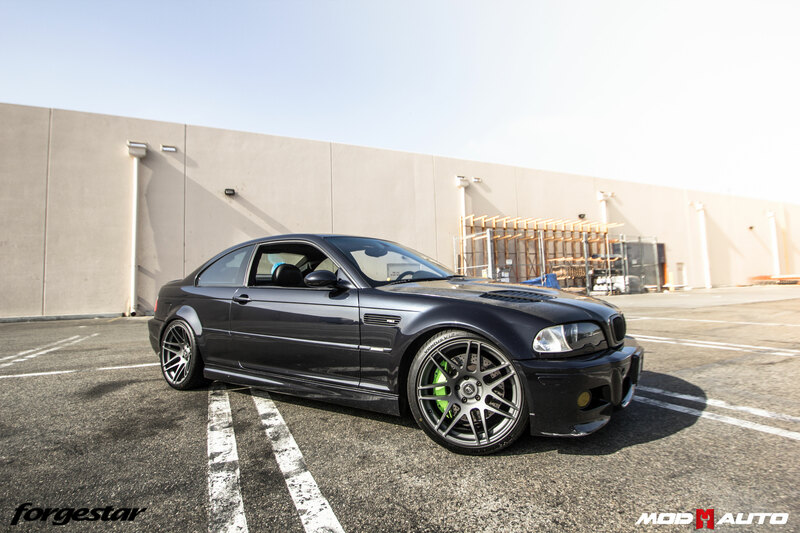 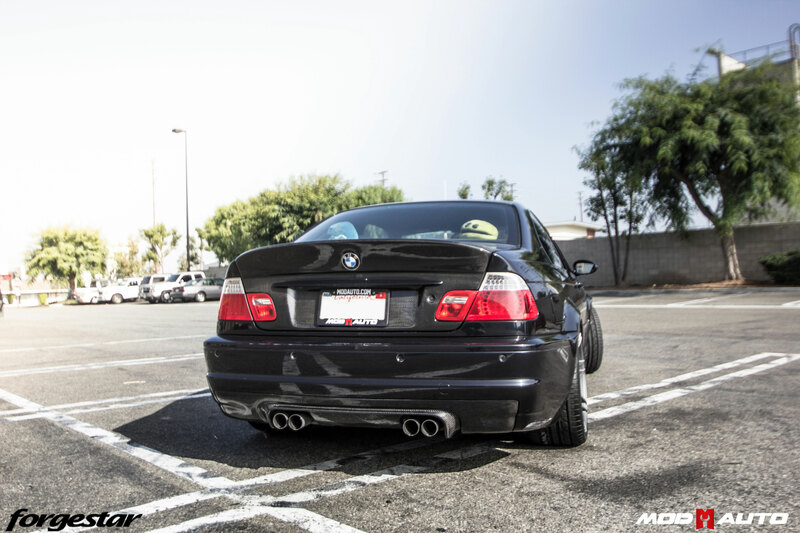 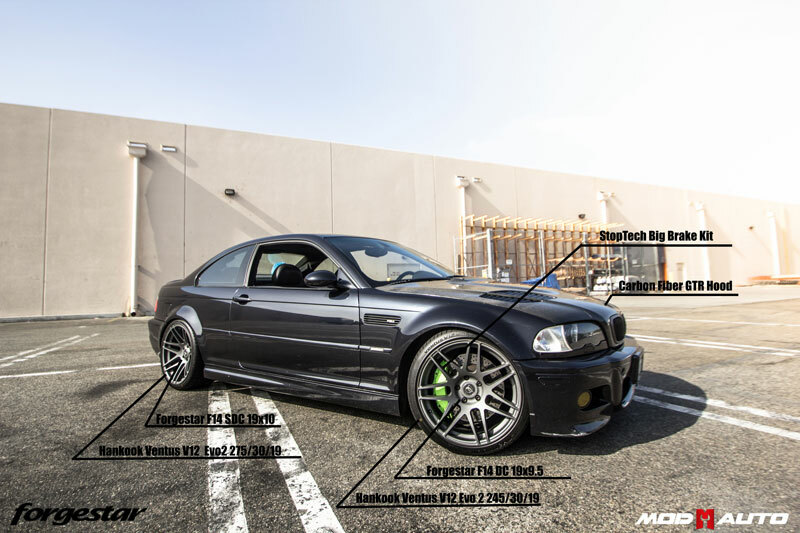 E46 M3 on Textured Gun Metal Forgestar F14 [19×9.5 | 19×10] & StopTech Big Brake Kit. 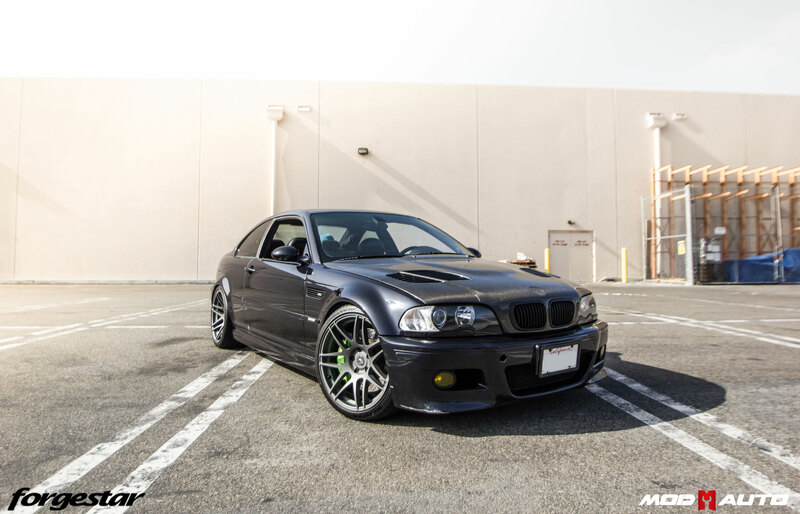 Here is another prime example of a car rescue. 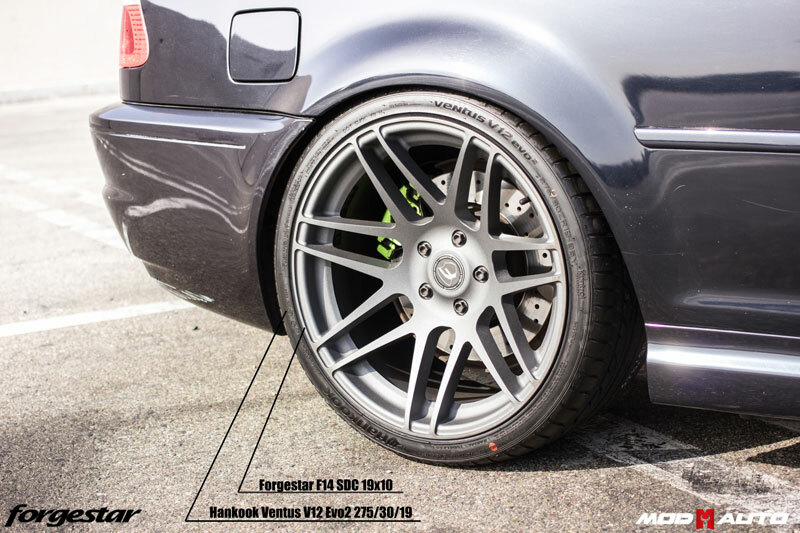 We have heard from Mod Experts and even our techs how this car came in almost destroyed, rust everywhere on the car and just not in a great form. With the help of our Mod Expert Elliott , the car was revived and back on the road . 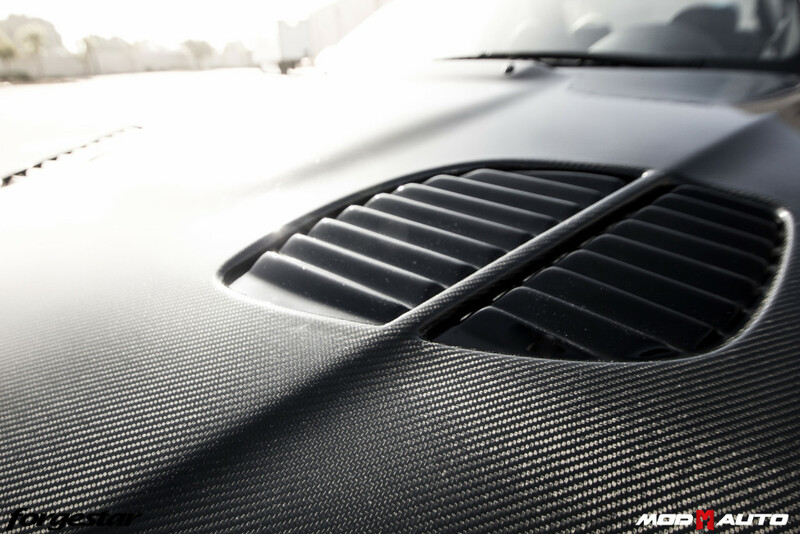 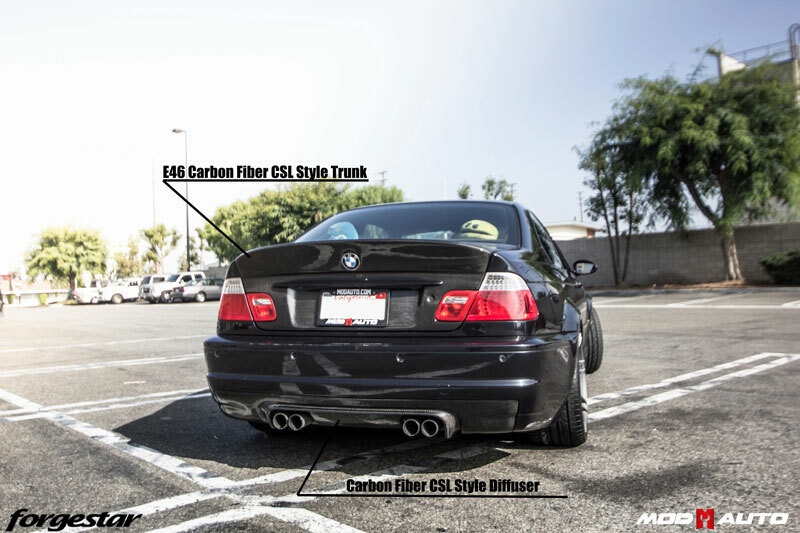 The car was fully upgraded with the exterior from the carbon fiber hood to the carbon fiber rear diffuse. 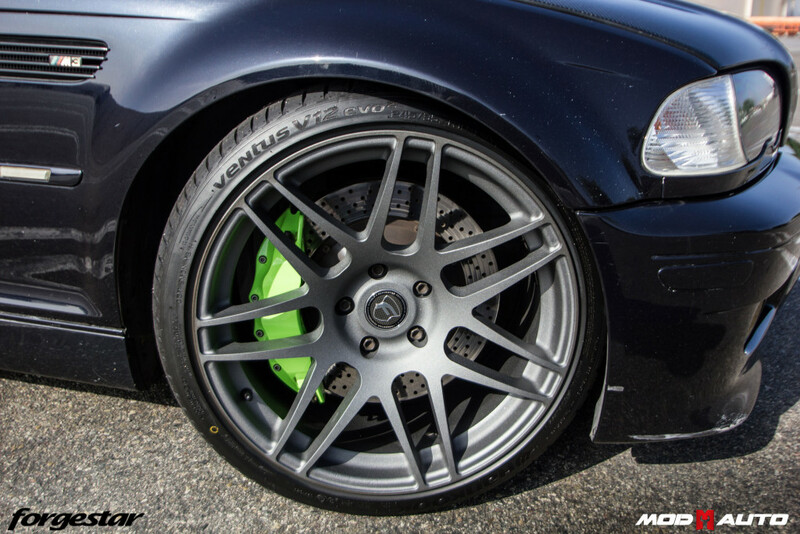 The StopTech Big Brake Kit was also installed on this vehicle, but not in the normal red or black but in a special neon green finish to make the car more noticeable and stand outta the crowd.